The founder of Poland’s biggest carbon quota brokerage firm, whose name appeared in connection with the Panama Papers, has been found guilty of VAT fraud and sentenced to jail in France. Warsaw denies wrongdoing, calling the multi-billion fraud an “unfortunate incident”. EurActiv France reports. A major emitter of carbon dioxide due to its heavy reliance on coal, Poland is a continuous cause of headaches for EU climate policy-makers. Warsaw has demanded significant financial compensation in exchange for supporting an ambitious EU-wide objective to cut CO2 emissions by 40% by 2030. In addition, Poland has actively tried to undermine reforms to the EU Emissions Trading System (ETS) – the EU’s carbon market – for fear of restricting its coal-dependent energy sector. But that is not all. French courts recently found Consus, a Polish brokerage firm, guilty of involvement in a case of VAT fraud committed against the EU carbon market. The massive fraud saw between €10 and €20 billion stolen across the EU between 2008 and 2010, with €1.6 billion going missing in France alone. This episode was another blow to the already weakened credibility of the EU ETS. 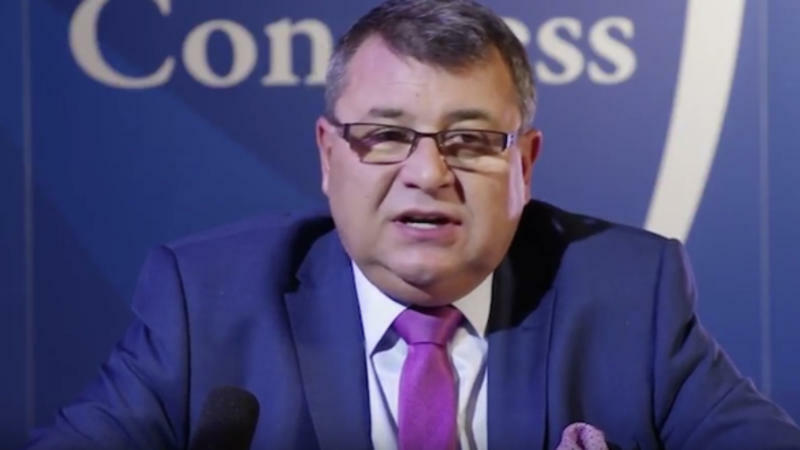 “The fraud would not have been possible without the complicity of the broker,” judge Peimane Ghaleh-Marzban said on 7 July, as he sentenced Jaroslaw Klapucki, the director of Consus brokerage, to seven years in prison for VAT fraud and money laundering. “The court recognises the organised nature of the gang, which was visible in the particular sophistication of the structures used, the international nature of the tools and banking flows, as well as the structured organisation between the parties involved,” the judgement said. Currently behind bars in France, Klapucki has also been handed a fine of €1 million and a five-year management ban. Together with the other members of his gang, the Polish broker has also been ordered to pay a total of €283 million in damages and interest. His lawyer has appealed against the decision. Despite this sentence, the Consus Joint Stock Company, a new structure that was also fined €3.75 million as part of this judgement, continues to operate on the Polish carbon market. Like most other countries, Poland has toughened its rules concerning VAT on CO2 quotas, but fraud is still possible in certain areas. But from Poland’s point of view, Consus did nothing illegal. “Consus has had two tax audits in Poland relating to operations in France, and no problem was found,” a representative of the company said. In fact, the tax service of the Polish city of Bydgoszcz examined Consus’ accounts in 2012 and found no problem with either the payment of income tax or VAT between August 2008 and June 2009. This is precisely the period when the company acted as an intermediary for the fraudsters Samy Souied, Arnaud Mimran and Marco Mouly, according to French prosecutors. The first was assassinated, the second is in prison in France and the third is still at large. But the French administration is clear on this point. The criminal conviction comes on top of a tax adjustment of an unprecedented scale for a one-man limited company. French tax authorities demanded that Consus France pay a VAT adjustment of €800 million, no less than half the total value of the fraud. To this they added a further €400 million of penalties, taking the total to €1.22 billion. “Consus was criticised by the authorities for not having met its clients, and at the trial it was accused of being too close to its clients!” said Thierry Pons, a lawyer for the Polish brokerage. He said that the authorities had failed to pick up on the fraud, despite many clues including requests for reimbursements of VAT, and insisted that a broker was no better placed to uncover illegal activities committed by his clients. As a VAT specialist, he has questioned the procedures for investigating companies that work with carousel fraudsters, which “create legal uncertainty, which may discourage businesses from working with smaller companies”. Contacted by EurActiv.fr, Consus denied involvement in any illegal activity. The Polish embassy in France called the whole episode an “unfortunate accident” involving probably no more than one person. Polish sources stressed that there were problems with the French legal process. “The Consus Joint Stock Company was not summoned to the trial, which is a problem,” the embassy said, stressing that a distinction should be drawn between the imprisoned director of Consus France and the main Polish company. But Klapucki, the founder of Consus, still appears to be the company’s main driving force, as his activities in Africa show. His Cyprus-based company, of which he is a 50% shareholder, and its many subsidiaries seem to be thriving. Because Consus is not just a CO2 broker. The company also uses tankers to import biomass, including palm nut shells from Africa, which it sells to coal-fired power stations in Poland to reduce their carbon footprint. This operation has attracted criticism from journalists in Togo. According to the weekly paper Actu Express, on 6 April, the businessman was accused by the state of Togo of forgery and using forged documents. He allegedly under-declared his cargoes of biomass to reduce his port tax burden. The journalists also accused Klapucki of passing himself off as the Polish consul. Finally, the company Consus Offshore Ltd also holds accounts in Panama at the now famous Mossack Fonseca law firm, the Panama Papers revealed. Surprisingly, the prosecution of Poland’s leading broker of carbon quotas has left the European Commission unmoved. The EU executive did not answer questions from EurActiv on whether Poland had broken the rules in this case. It merely highlighted that the collection and management of VAT is a competence of individual member states, as is the accreditation of market actors. The diverging views of France and Poland on the subject provide yet more ammunition for detractors of the Emissions Trading Scheme. With quotas selling for just €5 per tonne, this is yet another blow to the Europe’s flagship tool to fight climate change. Experts believe a price of around €30 is necessary to drive investments into low-carbon technologies.